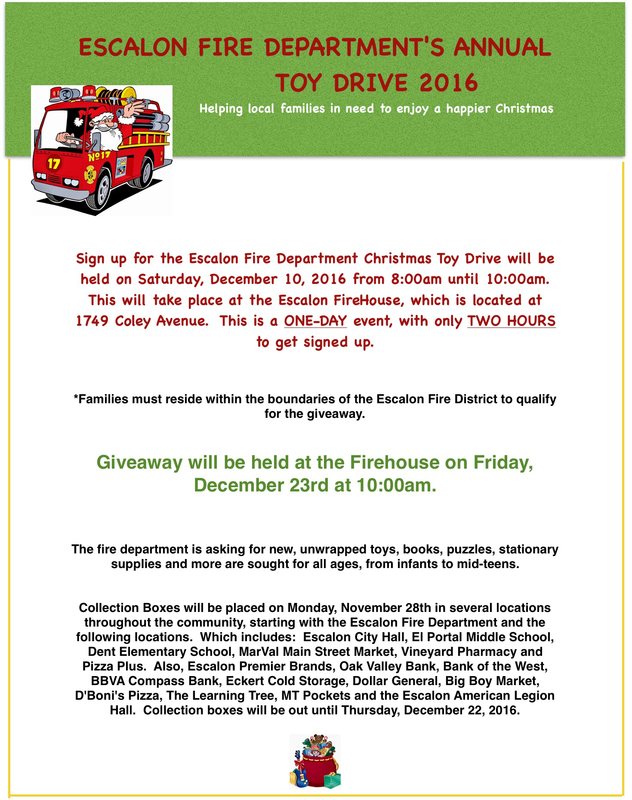 Sign up for the Escalon Fire Department Christmas Toy Drive will be held on Saturday, December 10, 2016 from 8:00am until 10:00am. This will take place at the Escalon FireHouse, which is located at 1749 Coley Avenue. Sign ups are a ONE-DAY event, with only TWO-HOURS to get signed up.